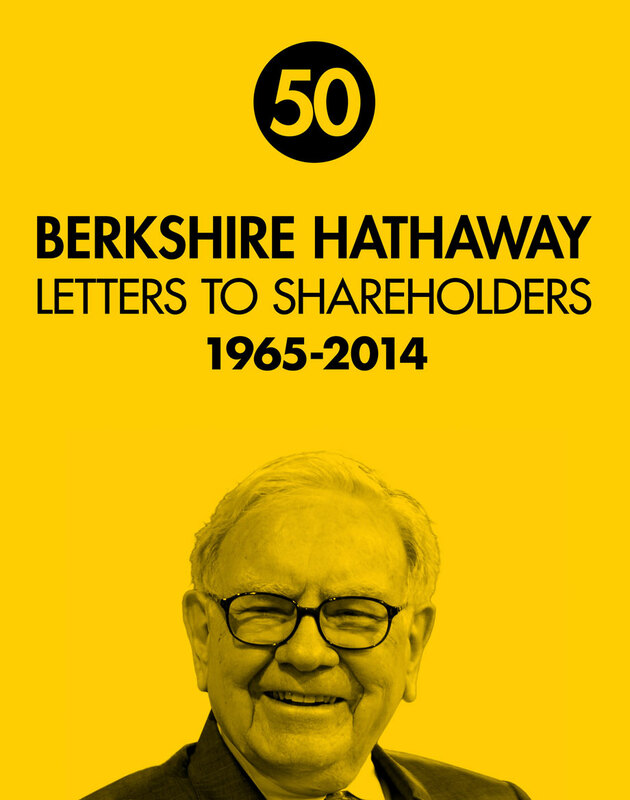 This book compiles 50 years of Warren Buffett’s letters to the shareholders of Berkshire Hathaway. In addition to providing an astounding case study on Berkshire’s success, Buffett shows an incredible willingness to share his methods and act as a teacher to his many students. It’s been claimed by many that you’ll learn more reading these letters than getting an MBA. There are hundreds of books about Buffett’s life, advice, and methods. These are his actual words; a “lesson plan” of his views on business and investing. 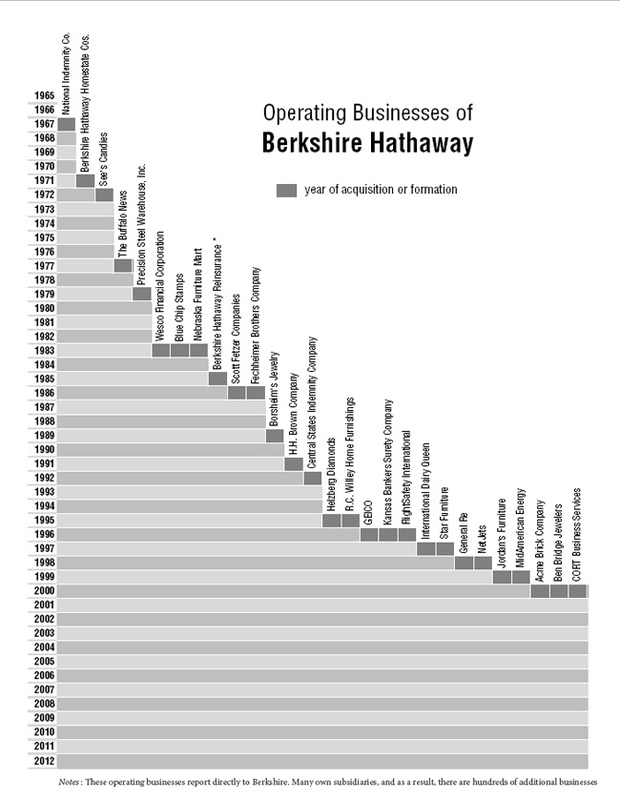 You can find most of the letters for free on Berkshire’s website, but this compiles them into a well-designed, easily readable format. 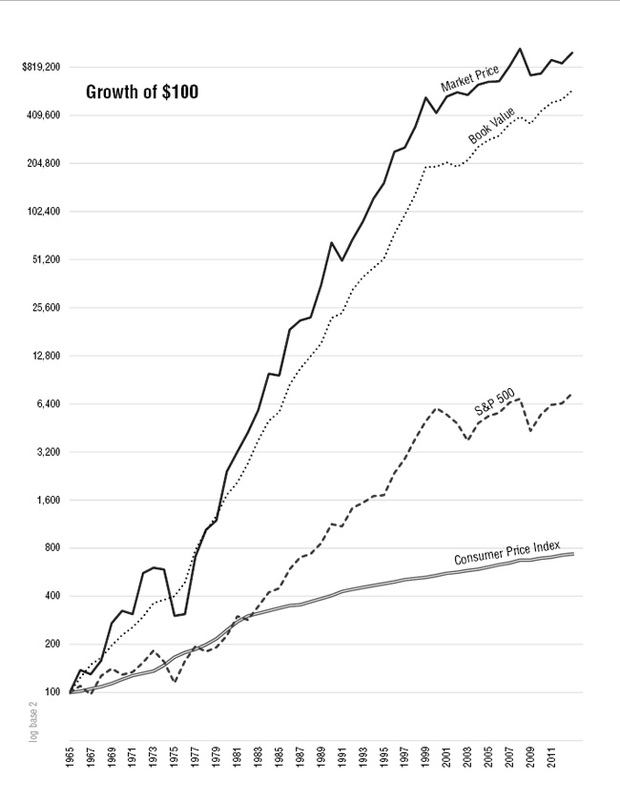 See more about "50 Years of Berkshire Hathway"
Insurance chart not visible on small screens. 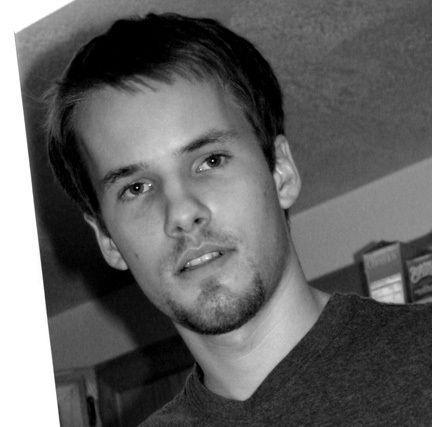 My name is Max Olson. 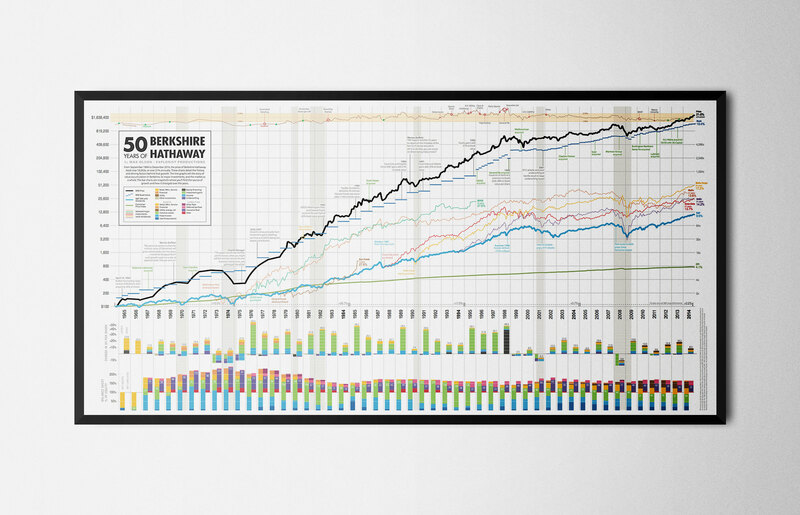 I've been investing most of my life and have managed money professionally for 9 years. Buffett's philosophies have had a huge impact on how I run my businesses and live my life. I put this compilation together as a thanks to his positive influence on myself and many, many others. ©2016 Explorist Productions. 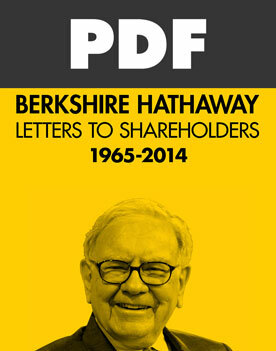 All letters in the book and the above samples are written and copyrighted by Warren E. Buffett and are reproduced with his permission. 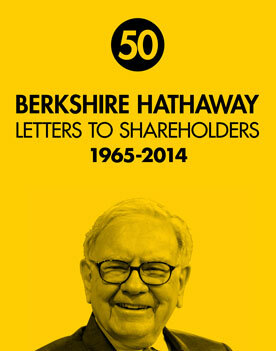 These letters must not be reproduced, copied, sold, or otherwise distributed without the permission of Warren E. Buffett.